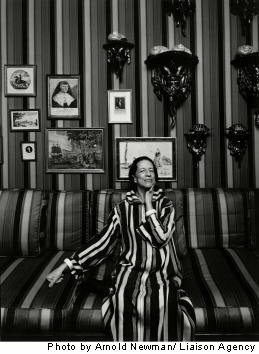 Diana Vreeland (July 29, 1903, Paris, France – August 22, 1989, New York City) was a noted columnist and editor in the field of fashion. She worked for the fashion magazines Harper's Bazaar and Vogue and the Costume Institute of the Metropolitan Museum of Art. Born as Diana Dalziel, Vreeland was the eldest daughter of American socialite mother Emily Key Hoffman and British father Frederick Young Dalziel. Hoffman was a descendant of George Washington's brother as well as a cousin of Francis Scott Key. She also was a distant cousin ofPauline de Rothschild. 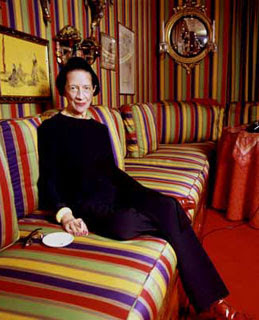 Vreeland had one sister, Alexandra. Her publishing career began in 1937 as columnist for Harper's Bazaar. In 1937 the Vreelands moved from London to New York City. They found New York City to be extremely expensive.Carmel Snow, the editor of Harper's Bazaar, was impressed with Vreeland's clothing style and asked her to work at the magazine. 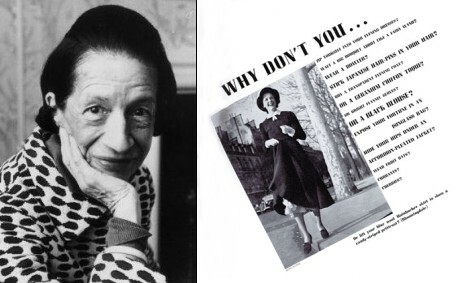 From 1937 until her resignation, Diana Vreeland ran a column for Harper's Bazaar called "Why Don't You?". One example is a suggestion she made in the column, "Why don't you.... Turn your child into an Infanta for a fancy-dress party? "According to Vreeland, "The one that seemed to cause the most attention was [...] "[Why Don't You] [w]ash your blond child's hair in dead champagne, as they do in France." Vreeland says that S.J. Perelman wrote a parody of it for the New Yorker magazine that outraged her then editor Carmel Snow. Diana Vreeland "discovered" actress Lauren Bacall in the nineteen forties. A Harper's Bazaar cover from the early forties shows Lauren Bacall posing near a Red Cross office. Based on editor Vreeland's decision, "here is an extraordinary photograph in which Bacall is leaning against the outside door of a Red Cross blood donor room. 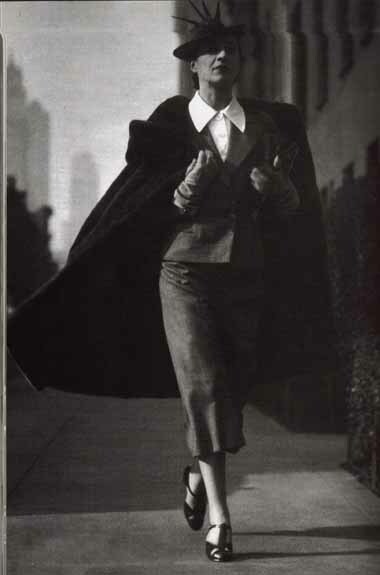 She wears a chic suit, gloves, a cloche hat with long waves of hair falling from it".Vreeland was noted for taking fashion seriously. She commented in 1946 that "[T]he bikini is the most important thing since the atom bomb"Vreeland disliked the common approach to dressing that she saw in the United States in the forties. She detested "strappy high heel shoes" and the "crêpe de chine dresses" that women wore even in the heat of the summer in the country. According to some sources, hurt that she was passed over for promotion at Harper's Bazaar in 1957, she joined Vogue in 1963. She was editor-in-chief until 1971. 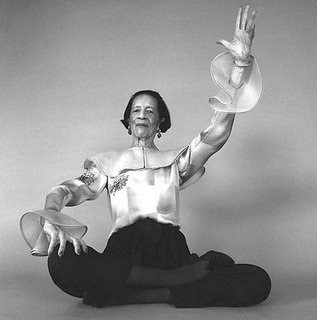 Vreeland enjoyed the sixties enormously because she felt that uniqueness was being celebrated. "If you had a bump on your nose, it made no difference so long as you had a marvelous body and good carriage. "During her tenure at the magazine she discovered the sixties "youthquake" star Edie Sedgwick. In 1984 Vreeland explained how she saw fashion magazines. "What these magazines gave was a point of view. It must have been 1966 or '67. I published this big fashion slogan: This is the year of do it yourself. [...][E]very store in the country telephoned to say, 'Look, you have to tell people. No one wants to do it themselves-they want direction and to follow a leader!'" After she was fired from Vogue, she became consultant to the Costume Institute of the Metropolitan Museum of Art in New York in 1971. 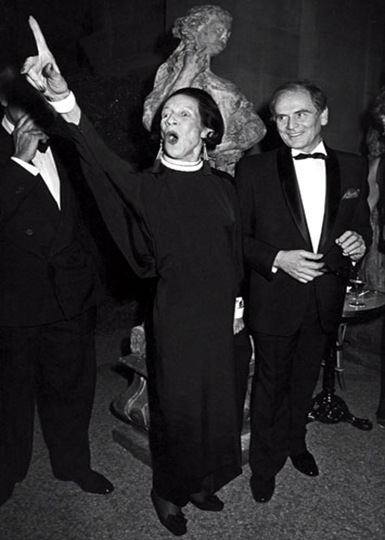 By 1984, according to Vreeland's account, she had organized twelve exhibitions. Artist Greer Lankton created a life size portrait doll of Vreeland that is on display at the museum. 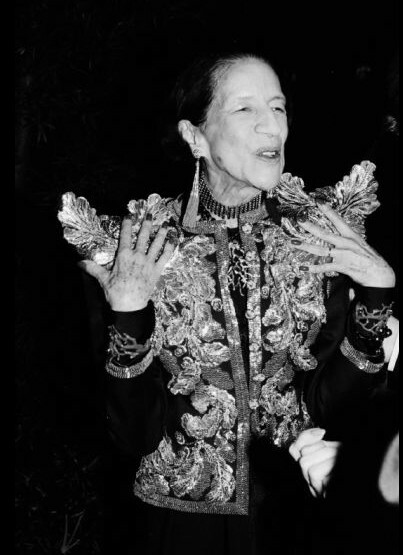 In 1984, Vreeland wrote her autobiography, D.V.. At age 86, she died in 1989. Funny...I can see her resemblance to George Washington and her other famous ancestor, Native American Indian, Pocohantas. Thank you for posting. Wonderful photos and biographical information.